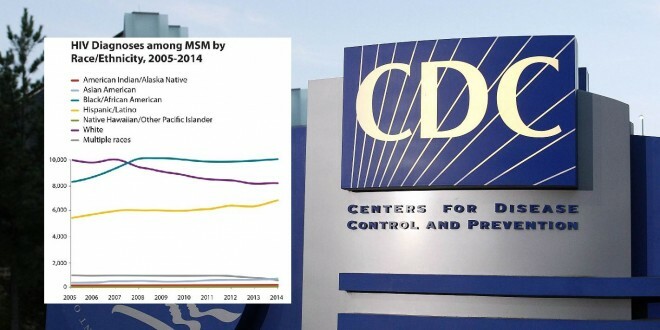 CDC: HIV Infections Dropped 19% Over Last Decade - Joe.My.God. 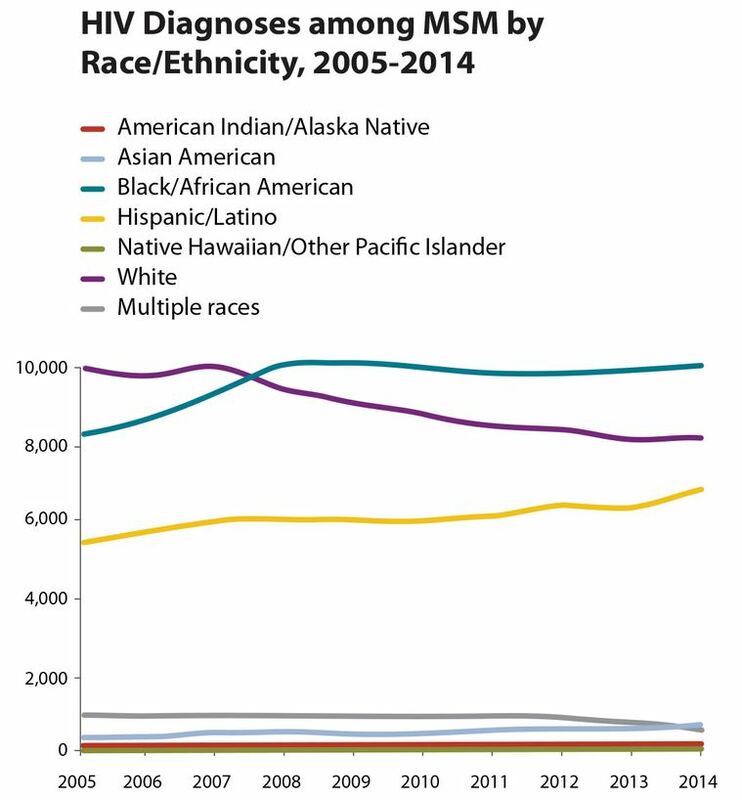 For gay and bisexual men, trends over the decade have varied by race and ethnicity. Among white gay and bisexual men, diagnoses dropped steadily, decreasing 18 percent. Diagnoses among Latino gay and bisexual men continued to rise and were up 24 percent. 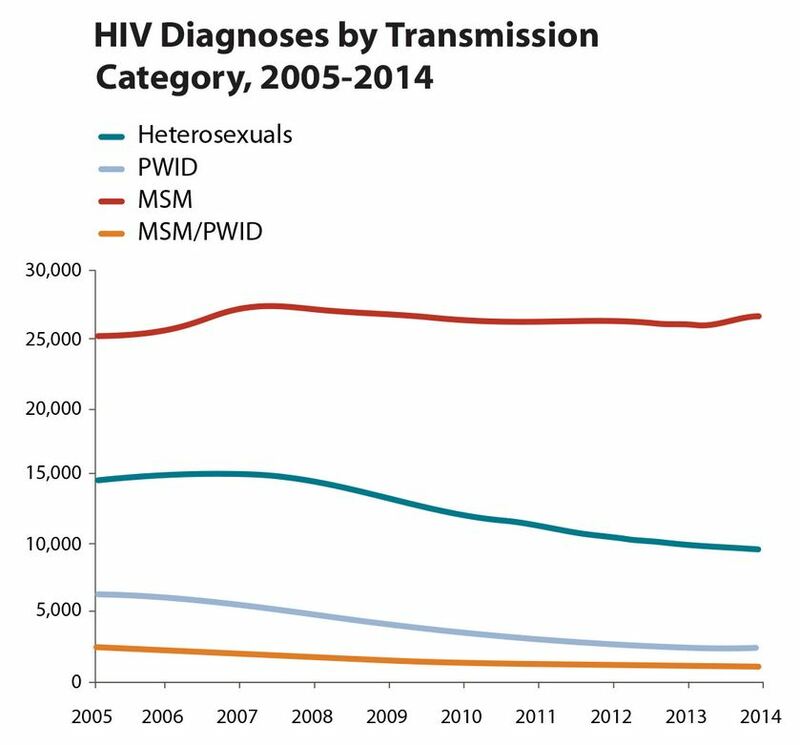 Diagnoses among black gay and bisexual men also increased (22 percent) between 2005 and 2014, but that increase has leveled off since 2010. A similar trend was seen among young black gay and bisexual men ages 13-24, who experienced a steep 87 percent increase in diagnoses between 2005 and 2014. Between 2010 and 2014, however, the trend has leveled off (with a 2 percent decline).